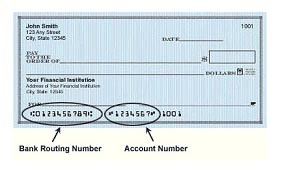 While on Xpress Bill Pay, we encourage you to set up automatic payments using a credit or debit card, or a checking or savings account. Payments will continue to be received in the drop box in the fire station parking lot on Cedar Hills Drive or at the city’s front desk during regular business hours. When you sign up for online bill payment, you get a unique password that you use to access your personal account. We’ll send you a reminder email every month to let you know when your bill is online. Then, just log in through your web browser and view your bill, which will look like the paper statement you’re familiar with. Select a payment type, enter the information, and you’re done! Click on “sign up” under to create a free account. If you’ve already signed up, you can login with your email address and password. Follow the instructions on the screen. You will need a valid email address and a city account number to create an account. Once you’ve created an account, you’ll be able to go online at any time to view and pay your bills. If you choose to use the auto pay option, select a payment date between the tenth and the first of the following month. Once the account is established on Xpress Bill Pay, select the paperless billing option. Those who do not opt out of paper billing or wish to continue receiving paper statements will receive a monthly fee of $1.35 on their bill for the pass-through cost of printing and mailing the bill. You can pay your bill from anywhere in the world through the Internet or by using the Xpress Bill Pay app! 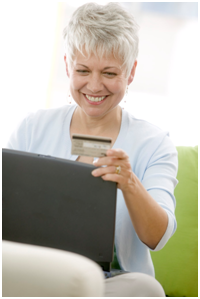 On Xpress Bill Pay you can pay your bills using a bank account or any major credit or debit card. We try to match the look of your paper statement as much as possible, so you’ll find it easy to read your bill. You can view the history of your utility account online, so you can compare your current bill to other months. After you complete the transaction, you can request an email receipt to confirm that your payment was received.